Whenever I read a good mystery, it makes me want to write one. Reading is one of the best things a writer can do to stimulate their creativity, and I really believe that reading mysteries has a particularly potent effect on mine. I nearly always come away from a good mystery with a mind full of new ideas—none of them directly from the story I just read, but the process of trying to solve the mystery, and then looking back over how it was constructed after the solution is revealed, seem to set the wheels spinning in my brain. Even if I’m not writing a mystery at the time, if I find my inspiration for a project running dry, I’ll often pick up a good whodunit to refresh myself. This past week I’ve been reading Lost Man’s Lane by Anna Katharine Green, an early American pioneer of detective fiction. She published her acclaimed debut novel The Leavenworth Case in 1878, and continued writing up through the 1920s. Lost Man’s Lane is the second book featuring one of her most entertaining characters, Miss Amelia Butterworth—a spinster lady of great propriety and determination, who is often regarded as a forerunner of Agatha Christie’s Miss Marple and other spinster detectives. Miss Butterworth assisted Green’s most frequently recurring character, the detective Ebenezer Gryce, in three books—That Affair Next Door (1897), Lost Man’s Lane (1898) and The Circular Study(1900). Miss Butterworth, who opens her narration of That Affair Next Door with the memorable words, “I am not an inquisitive woman…” is always careful to assure her readers that her “interference” in detective matters is prompted entirely by a sense of duty, though she shows a keen interest and relish in all her sleuthing. One of my recent projects has been the creation of my own middle-aged lady detective, in the style of Miss Butterworth and Miss Marple, but with certain elements all her own. She is a widow, not a spinster. She’s not quite as forceful a personality as Miss Butterworth; she’s a kind-hearted woman who frequently employs her detective skills to help people in trouble. Though a romantic at heart, she also has a sense of humor and is eminently practical. The setting for her adventures is Colorado, shortly after the turn of the 20th century, which allows me to combine some of the drama and sophistication of Anna Katharine Green’s Victorian and Edwardian-era mysteries with the more rural setting to which I’m accustomed from writing Western stories. I can’t say positively when she’ll make her first appearance in print, but it will probably be sometime this year. One thing I am sure of, though—if I get stuck working on one of her stories, I’ll be heading back to the bookshelf to find fresh inspiration from another mystery. 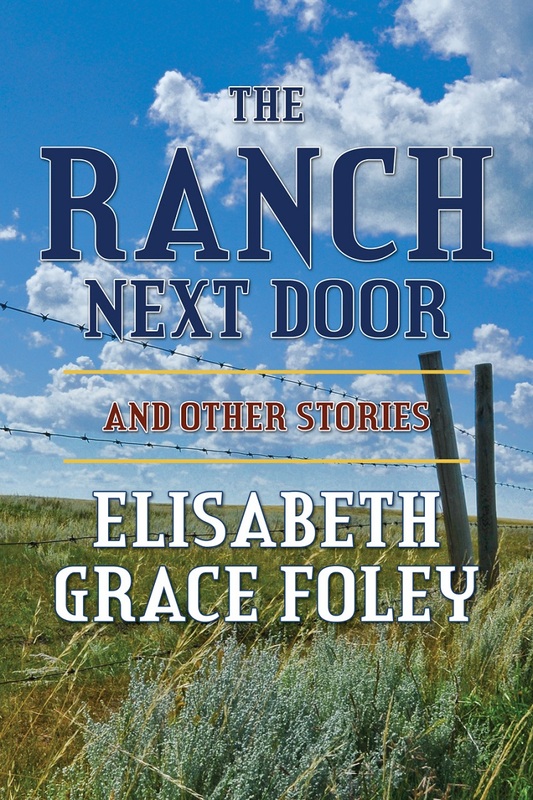 Today’s guest post is by Elisabeth Foley, author of The Ranch Next Door and Other Stories, a collection of Western short stories that go beyond the standard action and adventure of the genre to focus on character and conflict. In the award-winning “Disturbing the Peace,” honorable mention in the 2010 Rope and Wire short story competition, a sheriff experiences a revelation about himself and his relationship with the people of his town, while in “The Outlaw’s Wife,” a country doctor worries that his young friend is falling for a married woman whose husband is rumored to be a wanted criminal. From the suspenseful “Cross My Heart” to the comedic romp of “A Rangeland Renaissance,” to a Western twist on star-crossed romance in the title story, “The Ranch Next Door,” these stories will appeal to a variety of readers, as well as established fans of the traditional Western. This entry was posted in Guest Posts and tagged creative process, Elisabeth Foley, inspiration, mystery, writing. Bookmark the permalink. ← Mel’s Thinking…It’s Valentine’s Day!